Hutch is an original concept that mixes modern, local and vintage furnishings. Born out of Omaha, they recently opened their newest store in the Crossroads. I had the pleasure of chatting with General Manager, Teri Healy, about all things Hutch, and this exciting addition to the Crossroads. About a year ago, Emily Reinhardt of The Object Enthusiast introduced the Hutch owners to Tyler and Thomas of Made in KC. They hit it off, and decided to partner with them to help expand their business here. While smaller than the original location in Omaha, their Crossroads location reflects some of their favorite pieces. Hutch dabbles in a variety of different textures. They use wood, marble, stainless steel, metal bases, rugs, pillows, baskets and plants to create a modern, homey feel. May pieces are perfect for living in smaller spaces or condo living, while simultaneously allowing flexibility for larger spaces. Hutch carries over 70 brands, but the Crossroads showroom currently places heavy emphasis on modern furniture brand Blu Dot. Hutch designs and creates beautiful pillows, prints, and frames throughout the store. 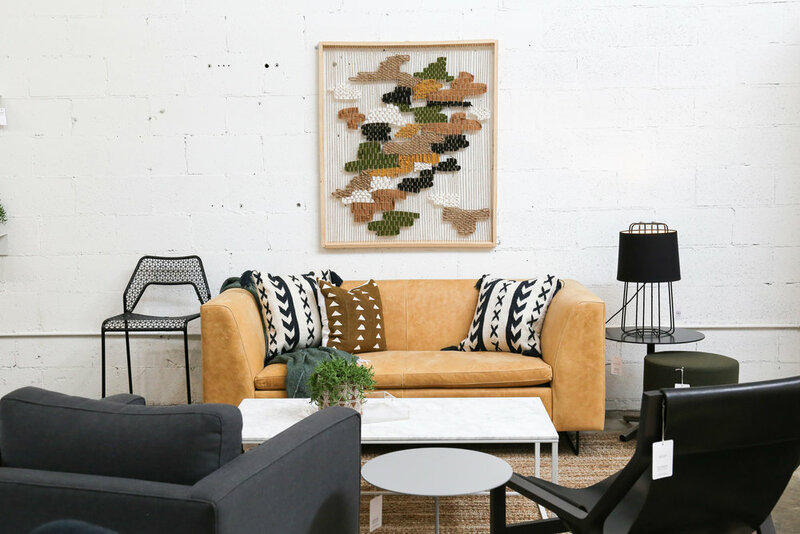 They also feature local art from Omaha, including original pieces made by co-owner, Brandon Beed, and photographer Emma Morem, with wall hangings made by Interior Designer Bryan Frost. 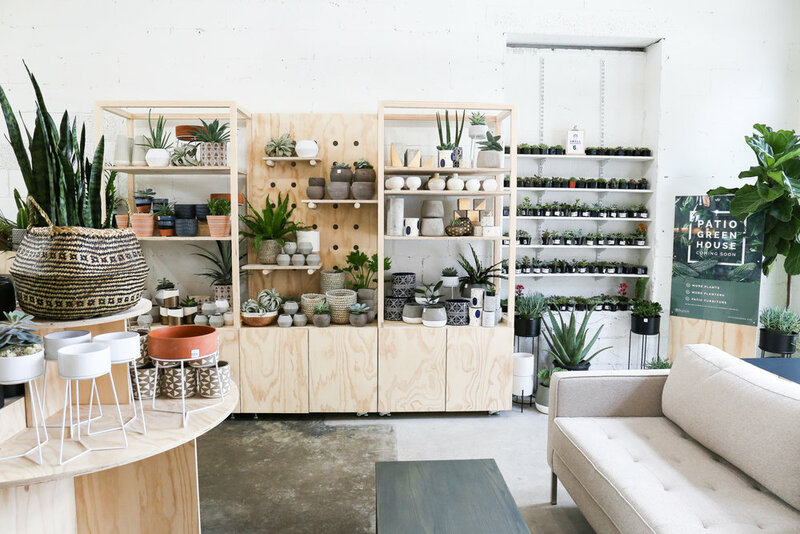 To top it off, they have a DIY area to build your own terrarium, with future plans to offer a green house on the back patio to satisfy all your planting needs. Blu Dot furniture is based out of Minneapolis where all of Hutch’s pieces are also designed. Each piece has its own distinctive character and story. The Toro Chair, for example, has a frame built in Italy and leather gathered from the same source as Louis Vuitton from Argentina– all flown back to Minneapolis where it can be assembled. Make sure and check out this fresh and trendy local option for designing your home or office! 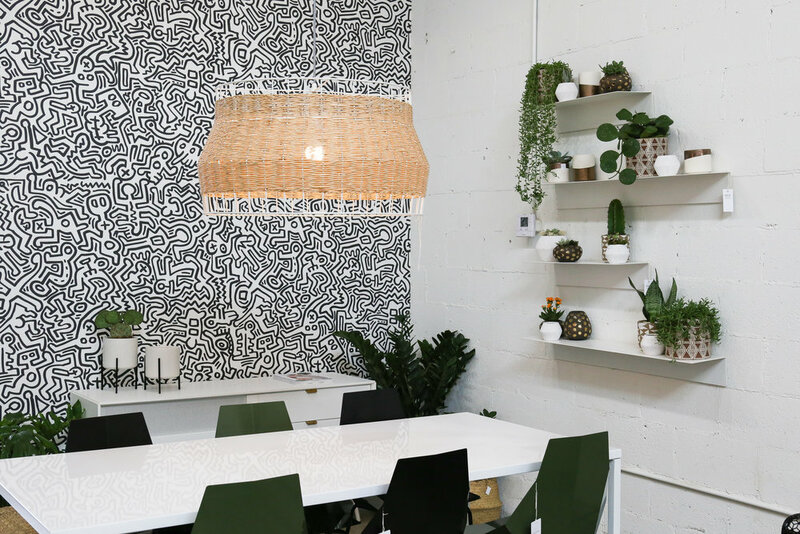 Their incorporation of texture, plants and high ceilings create a clean open vibe. You can’t go wrong with any of the pieces designed or curated by Hutch KC.